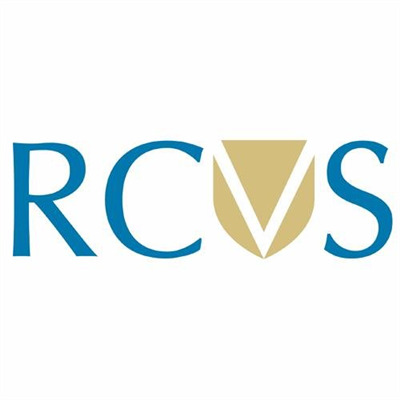 The Royal College of Veterinary Surgeons (RCVS) has set up a Working Party to consider whether new legislation to regulate the profession may be appropriate. The Legislation Working Party was set up on the recommendation of the College’s Brexit Taskforce, which considered that, in light of the United Kingdom leaving the European Union, and many remaining deficiencies in the existing legislation, now would be a good time to review the Veterinary Surgeons Act 1966. The Working Party, which is expected to have its first meeting in May, will be chaired by RCVS Junior Vice-President Professor Stephen May and will include the British Veterinary Association’s President, Gudrun Ravetz, RCVS CEO Nick Stace, RCVS Registrar Eleanor Ferguson, Chair of VN Council Liz Cox, RCVS Treasurer and Junior Vice-President elect Amanda Boag, and RCVS Council members Kate Richards and lay member Richard Davis. The Working Party’s remit will be to ensure that the College’s vision for the future of veterinary legislation is given proper consideration so that it can respond to future opportunities to support a new Act; to propose a list of principles on which new legislation should be based; and to make recommendations as to whether the new legislation should be a ‘Veterinary Services Act’ providing an umbrella for allied professionals and exploring compulsory practice inspection. Professor Stephen May said: “The UK leaving the EU will necessitate some changes to the Veterinary Surgeons Act as it currently exists so this feels like an opportune moment to carry out a wholesale review of the legislative basis for regulation of the veterinary profession in the UK. “Clearly using 50-year-old legislation has its limitations, and while we have been able to make use of legislative reform orders and changes to the Royal Charter to make significant changes to the College – for example, in terms of our disciplinary and governance arrangements – the fact is that this somewhat antiquated legislation is the basis for all we do. “For example under the current Act veterinary nurses still lack statutory regulation and protection of title, there is no underpinning for our continuing professional development (CPD) requirements and specialist/ advanced practitioner status and the College lacks the power of entry or similar power needed for compulsory practice inspection. The Legislation Working Party is to meet at least four times and will report to RCVS Council in due course.